Real Madrid have absolutely no intention of selling Raphael Varane this summer. 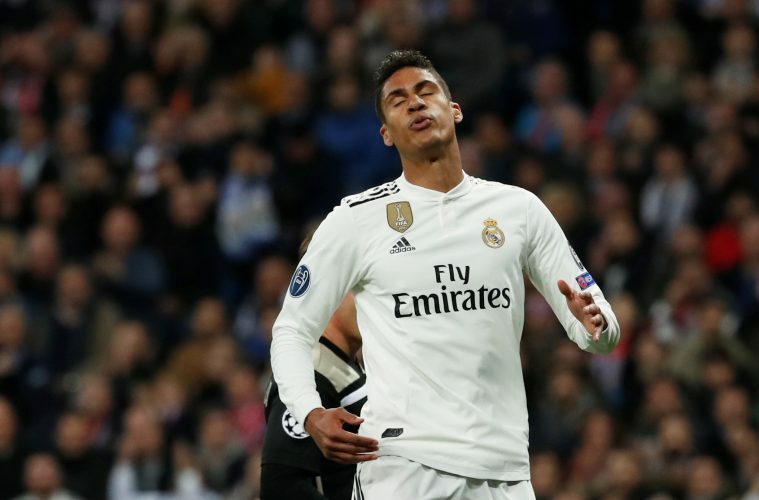 Speculation surrounding Varane’s future has only grown in recent weeks, as the player is believed to be reconsidering his future at the Spanish capital. Multiple sources have indicated that the centre-back is far from happy at Real Madrid, and he intends to seek a brand new challenge elsewhere, especially with several European juggernauts interested in securing his services. But now, as per Mirror, the Santiago Bernabeu outfit has made it clear that under no circumstances will the France international depart from the club come summer. Real Madrid intend to scare away potential suitors by demanding the full amount of Varane’s release clause, which is said to be a staggering £429 million – an impossible figure for any top club in the world. Further, recently-returned manager Zinedine Zidane has also expressed his complete confidence about the 25-year-old staying put with the 13-time European champions, as evident from his recent interviews. “I do not want a Real Madrid without Varane,” the French gaffer declared on Tuesday. “He is a young player who has been here for eight years. He has not told me anything, if he is annoyed then these are things that happen in a player’s life.